Inbound foreign investment is actively encouraged in the Philippines, and incentives are available for business activities that increase the country’s export capacity. The general theme of the Philippines’ incentives program is to encourage foreign capital and technology that supplements local resources. As such, 100% foreign ownership is allowed in most businesses save for those specifically restricted in the Foreign Investment Negative List or FINL. The FINL lists activities where a required percentage of Philippine equity is prescribed by law or the Constitution, and where foreign participation is absolutely restricted. 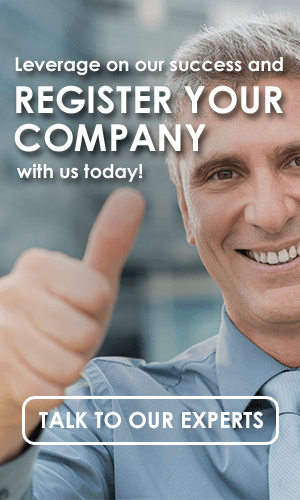 K&C will show you how to register or start a business or company in the Philippines quickly and efficiently. The most common form of corporate vehicle used by foreign investors is the corporation. The main advantage of the corporate form is its limited legal liability. In addition, doing business through a corporation or subsidiary allows room for Philippine equity participation in certain business activities, which would otherwise be restricted. The liability of the shareholders of a corporation to third parties is limited to the amount of their share capital except in cases of fraud. A shareholder is liable for damages arising from a breach of fiduciary duties, fraud, gross negligence, and other unauthorized acts. All foreign entities other than individuals doing business in the Philippines are required to register with the Securities and Exchange Commission whether as domestic corporations/domestic subsidiaries, branches, or partnerships. Formation of corporations is governed by the Corporation Code. The Code provides for the right of succession, powers, attributes, and properties of a corporation, all of which have important consequences. To establish a corporation, between 5 to 15 individuals must act as incorporators. They must each own or subscribe to at least one share, and a majority of them must be residents of the Philippines. At least 25% of the authorized capital stock must be subscribed at the time of incorporation, and at least 25% of that subscribed stock must be paid-up. Where the capital stock consists of no-par value shares, the subscriptions must be paid in full. The minimum paid-up capital is P5,000. The provisions of the Foreign Investments Act of 1991 are relevant where there are foreign shareholders, as it places constraints on foreign ownership in enterprises engaged in certain activities either through requirements on capital investment or Philippine equity participation. Corporations with more than 40% foreign equity are required to remit at least US$200,000 into the Philippines as initial paid-up capital unless they are classified as an export enterprises. Export enterprises are those that export at least 60% of their gross sales whether in services or goods which are paid for in foreign currency. Majority of the board of directors must be resident in the Philippines, although not necessarily Filipino citizens. Every director must own at least one share of capital stock, which must stand in his name in the books of the corporation. Once incorporated, the company must formally organize by election of a president, who shall be a director, a treasurer who may or may not be a director, a corporate secretary who should be a resident and citizen of the Philippines, and such other officers that are provided in the by-laws of the Corporation. It is possible for the director to hold such share as a nominee of another person, as the only requirement is legal title. Ordinarily, this arrangement is covered under a Deed of Trust and Assignment as well as an Indemnity Agreement. Once incorporation formalities are completed, the incorporators may sell their shares. Share capital may be contributed in cash or property. In case of the latter, the property must be valuated by an independent certified public accountant registered with the SEC. Shares of stock may have par value or no-par value. In both cases, the shares should be paid in cash or in kind at a fair valuation equal to the par or issued value of the stocks. The shares of stock of “stock corporations” may be divided into classes or series of shares, or both, any of which classes or series of shares may have such rights, privileges, or restrictions as may be stated in the articles of incorporation. Generally, no share may be deprived of voting rights except those classified and issued as “preferred” or “redeemable” shares. There must always be a class or series of shares that has complete voting rights. Any or all of the shares or series of shares may have a par value or have no par value as may be provided for in the articles of incorporation. Founders’ shares may be classified as such in the articles of incorporation and can be issued granting certain rights and privileges; however, an exclusive right to vote and be voted for in the election of directors is limited to 5 years. Amounts received in excess of the par value of shares are treated as additional paid-in capital. There are no restrictions on how a corporation may apply its additional paid-in capital, except that it generally may not be distributed as dividends. Transfers of shares must be recorded in the books of the corporation and the relevant taxes must be paid. Shares of stock against which the corporation holds an unpaid claim are not transferable in the corporate books. Directors of a corporation have a fiduciary duty to the company and its shareholders. To third parties, the directors act as agents. Directors are liable for losses and damages resulting from gross negligence, assenting to patently unlawful acts, bad faith in directing the affairs of the corporation, and acquiring personal or pecuniary interest in conflict with their duties as directors. Regular meetings of shareholders are held annually on a date fixed in the bylaws. Special meetings of shareholders can be held whenever they are considered necessary, or as provided in the bylaws. Proxy voting is permitted, but notarization is necessary to make the proxy valid against third parties. Dividends may only be declared out of unrestricted retained earnings. Distributions from additional paid-in capital or premium on capital may be declared only as stock dividends. Stock corporations are prohibited from retaining surplus profits in excess of 100% of their paid-in capital stock, except when justified by definite corporate expansion projects approved by the board of directors; or when the corporation is prohibited under a loan agreement with any local or foreign financial institution or creditor from declaring dividends without the lender’s consent; or when it can be clearly shown that retention is necessary to maintain a special reserve for probable contingencies. Stock dividends may be issued to convert surplus profits into authorized capital, and are not subject to income tax. They are, however, subject to a documentary stamp tax of 0.5% of the actual value represented by each share. The issue of stock dividends requires approval by stockholders representing at least two-thirds of the outstanding capital stock of the corporation. Corporations must maintain books of account, consisting of a journal and a ledger or their equivalent. Subsidiary books may also be kept as required by the particular business. All books must be registered with the BIR before they may be used. Corporations are also required to keep records of all business transactions, minutes of meetings of directors and shareholders, a stock and transfer book, and annual financial statements at its principal place of office. These books and records shall be open to the inspection of any director or stockholder upon written request. A statutory audit is required for all corporations with authorized capital stock or paid-up capital exceeding P50,000, including branches of foreign corporations and for any corporation whose gross sales or earnings exceed P150,000 in any quarter. The audit must be conducted by an independent CPA accredited by the Philippines SEC. GIS Reporting Requirement Companies registered with the SEC must provide a General Information Sheet “GIS” on an annual basis within 30 days counted from the day of the annual stockholders. The GIS contains the ownership details, share structure, information on shareholders, and other relevant data. The GIS and audited financial statements filed by corporations are available at the SEC for public inspection. The failure of a foreign corporation to register precludes it from filing suit in Philippine courts. The assumption is that the company will seek legal redress in local courts, though this course of action is uncommon. In addition, the corporation will be treated as a non-resident foreign corporation and will be taxed on its Philippine source income at a rate of 30%. This income is collected by withholding by domestic payees. Finally, the failure to register can lead to administrative fines and penalties from governmental agencies such as the Bureau of Internal Revenue, Social Security System, Philippine Health, Pag-Ibig, and Local Government. It is recommended that foreign investors register their investment with the Bangko Sentral ng Pilipinas or the Philippine Central Bank to facilitate the repatriation of their investment and profits through the Philippine banking system. Corporate existence and juridical personality commences from the date the Securities and Exchange Commission (SEC) issues a certificate of incorporation. However, before a corporation may commence operations in the Philippines, it must also register with the Bureau of Internal Revenue (BIR), the Social Security System (SSS), theHome Development Mutual Fund (HDMF), the Philippine Health Insurance Corporation (PhilHealth), and the local government unit where its principal office will be located. Registration with the SEC and other government agencies usually takes six to eight weeks in total to complete. Howsoever, the SEC certificate may take as little as 2 weeks if all documents are in order and there are no holidays during this time. The total government fees are roughly $800. This price may vary depending on paid-up capital and the city in which you decide to register. Firms seeking to benefit from incentives offered by the government will need to register with the relevant agency. The most significant agencies are the Board of Investments (BOI), the Philippine Economic Zone Authority (PEZA), the Cagayan Economic Zone Authority, the Zamboanga City Economic Zone Authority (ZamboEcozone), the Subic Bay Metropolitan Authority (SBMA), the Clark Development Corporation (CDC). Importers need to be accredited with the Bureau of Customs. Please fill out our contact form to learn more about how to start a business in the Philippines.